The SHRMStore has moved its books to an affiliate model with Amazon. Your purchase of this book on SHRM's Amazon store supports the HR profession and SHRM's mission. In our extroverted business culture, introverts can feel excluded, overlooked, or misunderstood. But being an introvert doesn't mean you can't be a great leader. 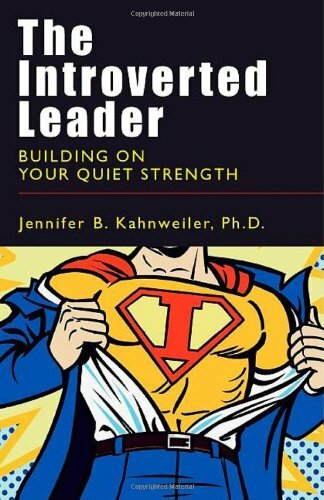 Citing examples of highly successful leaders like Bill Gates and Warren Buffett, Kahnweiler shows that introverts can build on their quiet strength and make it a source of great power. After highlighting the common challenges introverts face at work, such as stress, invisibility, and perception gaps, the book details a straightforward four-step process to handle work situations such as managing up, leading projects, public speaking, and many more. Kahnweiler provides numerous examples and leadership tips as well as a revealing Introverted Leader Quiz that pinpoints where focused attention will produce maximum results, ""The Introverted Leader"" will teach you to embrace your natural work style in order to advance your career, get the most out of the people around you, and add value to your organization.